Let me tell you about one of my favorite secret ingredients for potions and spells: fiber! Not incredibly glamorous, but it makes all the difference! Opting for snacks and light meals that are high in fiber help keep me full and sated! 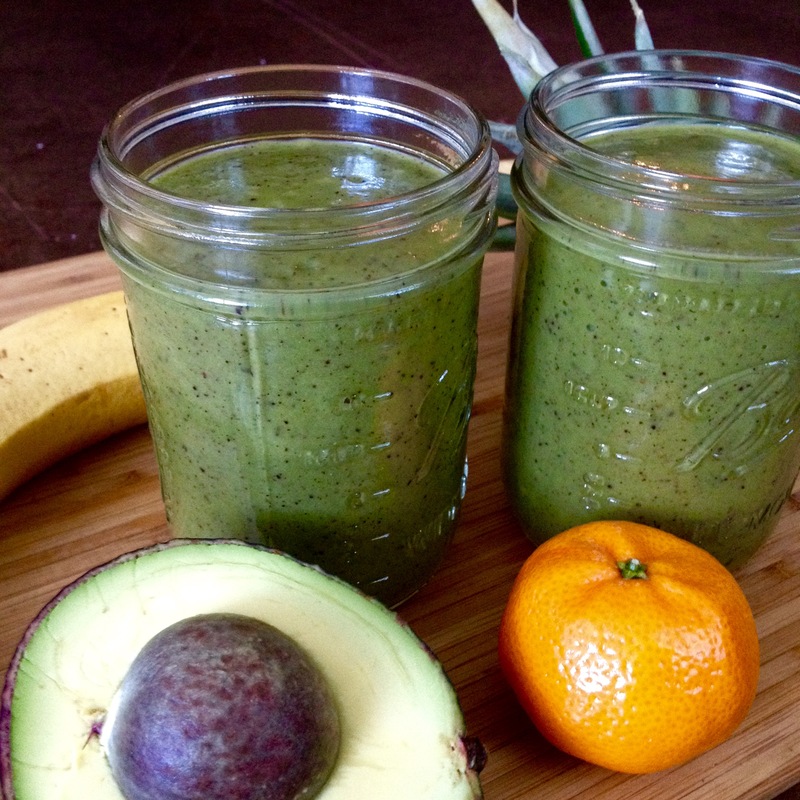 The best example of the power of fiber is a smoothie/potion I call Green Drink. What makes it a satisfying light breakfast or snack (as opposed to a thing you drink while eating a light breakfast or snack) is the secret ingredient! The difference between juice and this potion is that the potion uses the entire plant, whereas juice just extracts the liquids and nutrients, leaving all the fiber behind! The recipe below is a basic outline for two servings, but it could be cut in half easily! My general aim is 3 cups fruit and 2 cups spinach. I use whatever fruits I have the most of on hand! This drink is made even easier if you freeze peeled bananas or other chopped fruit so that you can mix and match and are always ready to go! From this base recipe, you can add all sorts of fruits and even other greens or veggies! If berries or melon are on sale, they make great additions (and freeze well!). Peeled oranges, cored apples, chunks of pineapple or mango all add great flavor and variety to the potion! You can even add half an avocado if you want a really thick and creamy drink! Add hemp/chia (if using) to the bottom of the blender, followed by spinach, then fruit- putting the dry ingredients in the bottom helps break them up first and get them integrated! If you’re using a bullet or other small size blender, just reverse this, and make sure the hemp/chia winds up closest to the blades! Start with ½ cup of water or tea to loosen up the ingredients, add more as needed to work all ingredients into the blade. I tend to use between ½-1 cup of liquid for double batches. Blend until smooth and free of chunks. If using, add a handful or two of ice (depends on how cold you like your drink! I prefer not to water the potion down too much, so I tend to only add 8-10 ice cubes) and blend until completely smooth! Pour into your favorite flask and enjoy! **The pictured Green Drink was made with both Chia seeds and Hemp protein powder, 2 cups spinach, half an avocado, 1 cup frozen pineapple chunks, a banana, 2 clementines, and little over half a cup of frozen mixed berries! It was already very thick and made with plenty of frozen fruit, so I didn’t add any ice! This entry was posted in Magic Upgrade, on the go, Quick Conjurations, simple and satisfying, snack and tagged DIY, easy, healthy, homemade, quick, simple, versatile. Bookmark the permalink.